After finding slower action than expected at our first stop of the day, Capt. 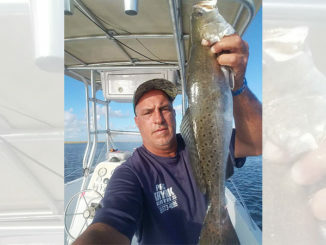 Kris Robert and I went exploring, and located a non-stop speckled trout bite in an area known more for its wintertime productivity. 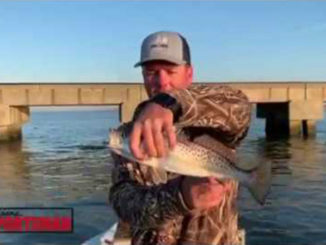 Despite hot weather that stretched into the fall, South Louisiana speckled trout have been ahead of schedule for weeks, and that seems to be continuing now that temperatures have turned more seasonable. 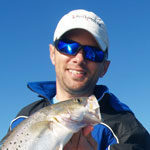 Robert and I found fish that were stacked on top of each other, even though water temps were in the upper 60s. That’s great news for anglers looking for limits anytime in the near future. Like the video? Please give it a thumbs up, and subscribe to the Marsh Man Masson channel on YouTube. Also, leave a comment here or on the YouTube page. Are the fish in your favorite area acting like they’re in a winter pattern? 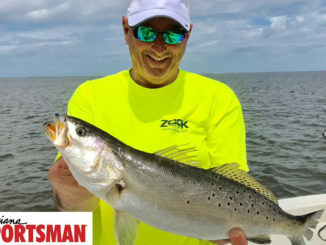 Todd Masson has covered outdoors in Louisiana for a quarter century, and is host of the Marsh Man Masson channel on YouTube.